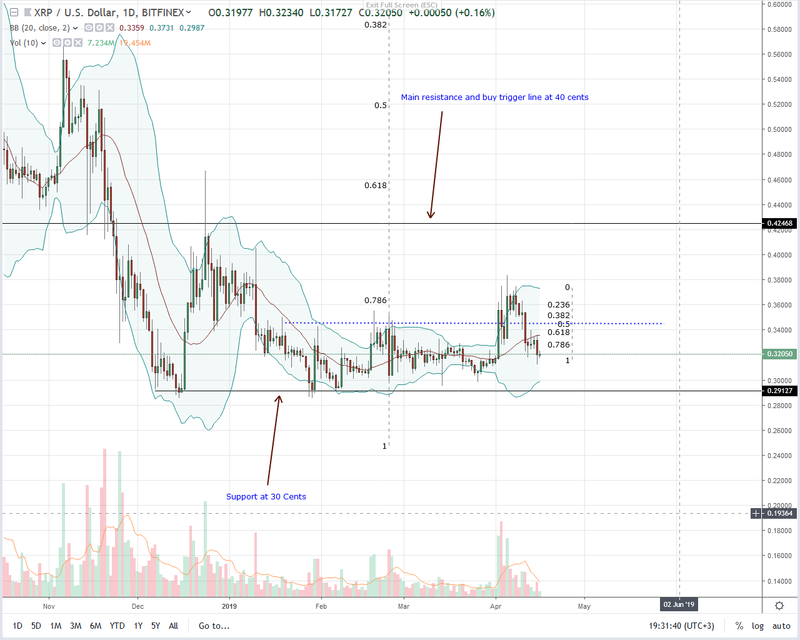 Ripple (XRP) Conquering Asia, But Why the Divergence With Price? Ripple (XRP) support at 30 centsStandard Charter expanding to AsiaAdoption means day-to-day settlement using XRP and CoinBase is experimenting with Litecoin, BTC, and ETH after partnering with Visa. With time they may add Ripple (XRP) but at the moment Standard Charter, a partner with Ripple, is extending their services to Asia to meet increasing demand.Ripple Price AnalysisFundamentalsFact is, for the space to flourish, there must be an avenue allowing not only investment but expenditure of digital assets. Ripple (XRP) may the third most liquid meaning conversion is fast, but it is yet to be mainstream in not many merchants accept the coin as a medium of exchange.Good news is, the situation is about to change. While we know XRP is fast with a near instantaneous settlement, CoinBase has solid plans of changing this situation thanks to their collaboration with Visa. Even so, the partnership will allow LTC, BTC, and ETH coin holders to “spend crypto as effortlessly as the money in their bank.” If there is a solution and XRP is part of this arrangement, then we expect the coin to be a leader, facilitating cross-border payments between financial institutions but act as a medium of exchange, allowing micro-payments.Already, Coil is working towards monetizing content, and by integrating InterLedger Protocol, there is interoperability as coin holders can change XRP for ETH and vice versa at the same time make micro-payments.Standard Chartered announced the expansion of Straight2Bank Pay, its award-winning digital collections gateway for corporate clients, to additional markets in Asia to further support its clients’ growing e-Commerce and m-Commerce aspirations.